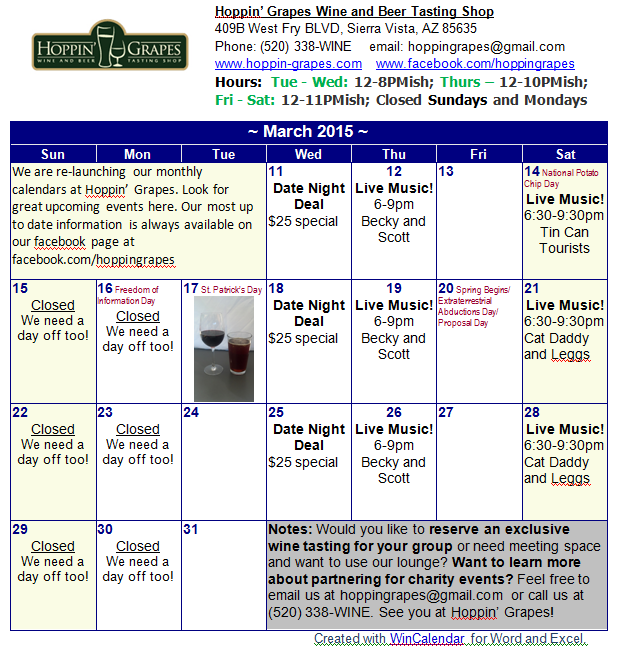 In case you didn't know, Hoppin' Grapes is a retail store and a wine bar with a little beer thrown in for flavor right here in Sierra Vista, AZ! We offer snacks and yummies as well as cheese plates, desserts and more. 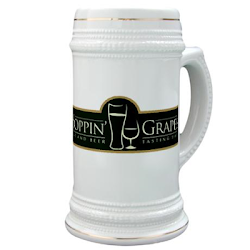 With a retail store boasting a large selection including many wines and beers Arizona has to offer, Hoppin' Grapes will be sure to have something for everyone. Join us for wine tastings daily! Our lounge features comfortable couches, tables and chairs perfect for gathering to chat with friends, play board games or read a book. We are located at 409B West Fry Blvd, Sierra Vista, AZ 85635 in Sierra Vista's West End. We are just a block outside of the main gate across from the Landmark Cafe. Stop in and visit us!